Apple watch can send messages, make phone calls, track health activity, run a wide range of apps and so on. It is more and more popular as it has so many functionalities and it’s easy to carry. However, many users find it is really frustrating that Apple watch stuck in boot loop after upgrading. This article shares two solutions that posted on Apple Communities and other forums. These two ways have been proved to be effective and easy to fix Apple watch boot loop issue so we do hope they can help you out quickly. Force restarting is the usual way to fix Apple watch stuck in reboot loop and make your Apple watch come back to normal. You can force restarting only Apple watch to give it a go. If the first attempt doesn’t work, please try the second option to force restarting both iPhone and Apple watch. 1. Hold down the power and crown to force restart Apple watch. It will show update rings then turn off, come back on and show the rings again. 2. Type your passcode on Apple watch. It can work fine after the few cycles. 1. Force restarting iPhone first by pressing and holding the Sleep/Wake and Home button simultaneously for around 10 seconds and you’ll see the Apple logo. 2. Immediately force restarting Apple watch by pressing and holding both side button and Digital Crown for 10 around 10 seconds and you’ll see Apple logo. 3. You can contact Apple support if your Apple watch cannot start up. If your Apple watch reboots randomly on Apple logo, black screen, ReiBoot is another good choice for you to fix the issue by repairing system procedure. Follow the steps below to fix Apple watch loop. 1. Connect your Apple watch to mac via Bluetooth. Then, the program will detect your device automatically. 2. Click “Fix All iOS Stuck” option in the program interface to fix Apple watch stuck in boot loop. 3. Generally, you can get the screen below. Click “Repair Now” to start repairing. 4. Click “Browse” to choose a path to save the fresh firmware and then click “Download” to download the newest firmware package online. 5. After finishing downloading firmware, please click “Start Repair” to repair your apple watch without data loss. 6. Your apple watch will boot up and function well after repair process completes. Hope this article will help you fix your Apple watch boot loop. If you have any other good suggestions, leave your words below please. Thank you very much for your valuable comments! Recently, many people want to downgrade iOS on their iPhone X/8/8 Plus/7/SE/6s/5s. Some users want to jailbreak their phones so that they can do whatever they want without limitations. And the others just don’t like the latest iOS 11.2.6/11.2.5 and they want to downgrade to previous versions iOS 11.2/11.1/10.3/10.2. Since Apple only allows users to update to the latest version, it doesn’t have the feature to downgrade to the old iOS versions. In this blog, I’ll show you top two IPSW download tools in 2018. Please read on to download the best IPSW download tool. TinyUmbrella is a common iOS downgrade tool for jailbreakers. This program relies on Java to run. Download TinyUmbrella on your Mac or Windows PC (64bit or 32 bit). Download Java on your Mac or Windows PC (64bit or 32 bit). Following are the steps to use TinyUmbrella to downgrade iOS. Step 1: Open TinyUmbrella and connect your iPhone/iPad to the computer with a USB data cable. Step 2: The program will recognize your device and it will download all the SHSH blobs available in the device automatically and save them to your computer. You many choose to use iTunes to restore to downgrade iOS. However, during iTunes restore, you may encounter various iTunes errors like iTunes error code -1, 9, 56, 4013, etc. What’s worse, the interruption would cause a serious damage on your iPhone/iPad. Fortunately, you can use a professional ios downgrade tool – iAnyGo to downgrade iOS without any stuck issue. You can use it to download any iOS versions like to upgrade or downgrade iOS. More importantly, this process will safeguard your data, which is very quick and safe. Here are the steps to downgrade iOS version without any data loss. Step 1: Launch iAnyGo and connect your iOS device to computer. The program will detect your device automatically. 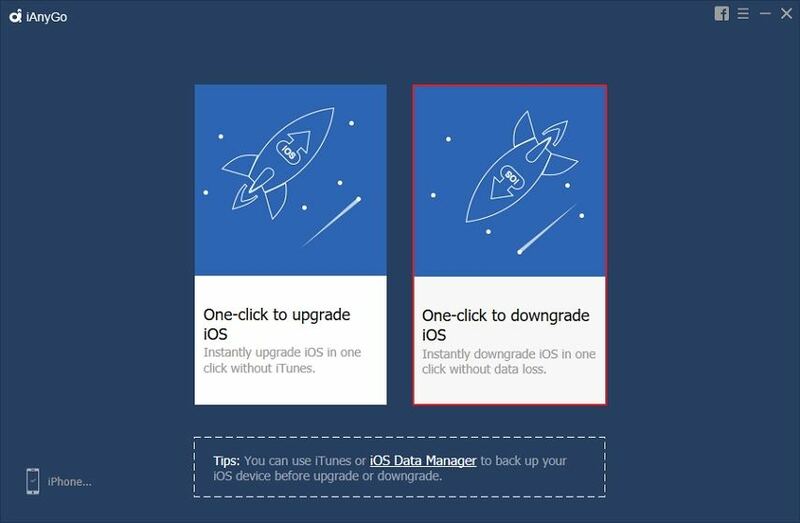 Click “One-click to Downgrade iOS” to start downgrading iOS. Step 2: All the available firmware packages will be listed within the program. Select the IPSW you want and click “Download” button. Step 3: After finishing downloading firmware, click “Downgrade Now”. The program will uninstall the current iOS version and downgrade it to the firmware you selected successfully. This blog has shown two free and best IPSW download tools. Hope you can benefit from them. If you have any further problems, please leave your valuable comment below. Getting a new iPhone 8 is an exciting thing for most Apple lovers. However, the frustrating thing is that you forgot the password you set on the device. What’s worse, you entered the wrong password more than 6 times and your iPhone 8 became totally disabled. Using iTunes to restore your iPhone/iPad is a common way to factory reset your device to erase the passcode. But this way is risk. You may encounter various iTunes errors, even get your iPhone stuck in black screen with boot loop, iTunes logo or Apple logo during the restore. In this blog, we’ll show you two safe and effective ways to remove the passcode and unlock disabled iPhone 8 without iTunes. This is also applies to iPhone X/7/SE/6 Plus/5s/4, iPad and iPod Touch. Apple’s Find My iPhone feature is very useful to locate your iPhone or erase the content on the device remotely when your iPhone is lost or stolen. You can log into your iCloud account to factory reset your iPhone to remove the passcode. And Following are the steps. Step 1: Go to icloud.com to log into your iCloud account via web browser on computer or another phone, enter your Apple ID and password and click “Find iPhone” option. Step 2: Click “All Devices” at the top of the browser window and select the device you want to reset the password. Step 3: Click “Erase iPhone” to wipe the data on the device. And this operation will clear the password as well. If you don’t want to use iTunes to restore your iPhone and you haven’t set up Find My iPhone in iCloud, you can try the iTunes alternative program – 4uKey, which is much easier and safer than iTunes to bypass the passcode, Touch ID, Face ID and unlock disabled iPhone/iPad. And here are the steps. Step 1: Download, install, open 4uKey, connect your iPhone to PC/Mac via USB cable. The program will recognize your device automatically. Click Start to starting removing the passcode. 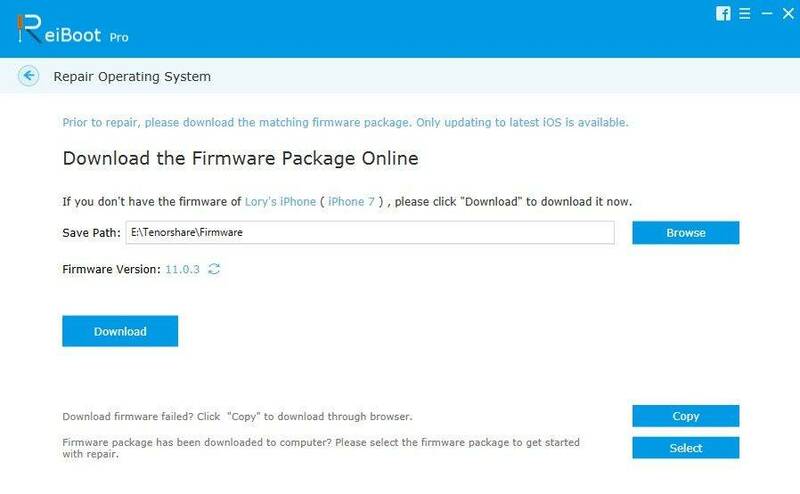 Step 2: The program will download the latest iOS firmware package online. After finish firmware download, you can click “Unlock Now” to start clearing the passcode iPhone. And your iPhone will be unlocked within ten minutes successfully. This blog has shown you 2 effective ways on how to remove password and unlock disabled iPhone 8. If you still having trouble with unlocking a disabled iPhone, please don’t hesitate to let us know by leaving your comment below. Apple recently release iOS 11.2 beta 5 to developers, however, it seems that there are still bugs and abnormity in this version. We can just wait for Apple to fix bugs and try to downgrade iOS 11.2 Beta 5 to iOS 11.1.2 version. After all, it is a risk to downgrade iOS version in iPhone, iPad or iPod touch. Therefore, you had better backup important data before downgrading. Now let’s learn how to achieve that in this post. 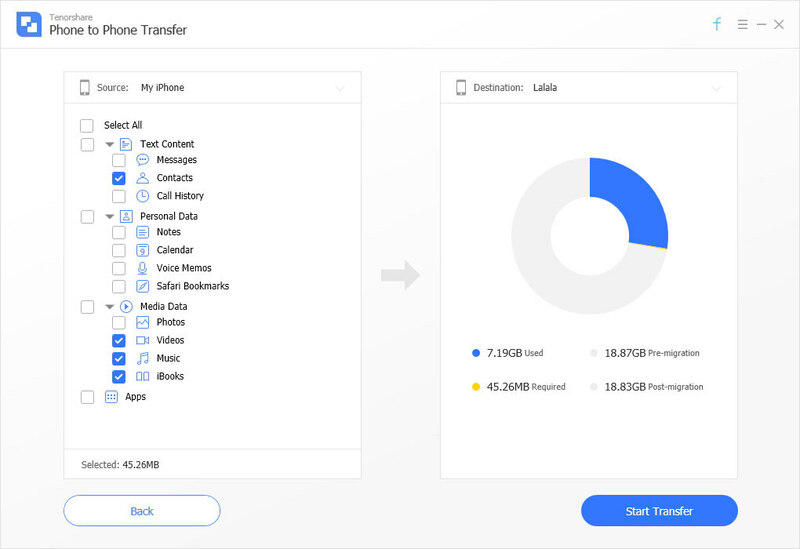 iAnyGo is absolutely a quite easy-to-use tool for Apple users to update or downgrade iOS version with just one to three clicks. No matter what iOS version your device is, as long as Apple supports to download the old version, you are able to downgrade it perfectly. See how to downgrade iOS 11 by following this guide. Step 1. Download and install iAnyGo to Windows/Mac computer. Step 2. Connect Apple device to this software and wait for a while, you are about to see the two interface. Just hit on “One-click to downgrade iOS” button and go ahead. Step 3. In the next window, you are able to see different iOS versions, just choose “11.1.2” and begin the downgrade. ReiBoot is another piece of software to fix iOS issues. This program integrates a variety of iOS bugs troubleshooting to deal with them. For instance, iPhone, iPad or iPod touch stuck in recovery mode, DFU mode, black screen, while screen, restart loop, etc. Downgrading iOS version is also supported in this application. Follow the steps to know how to downgrade. Step 1. Visit ipsw.me to download iOS 11.1.2 firmware file via web browser. Step 2. 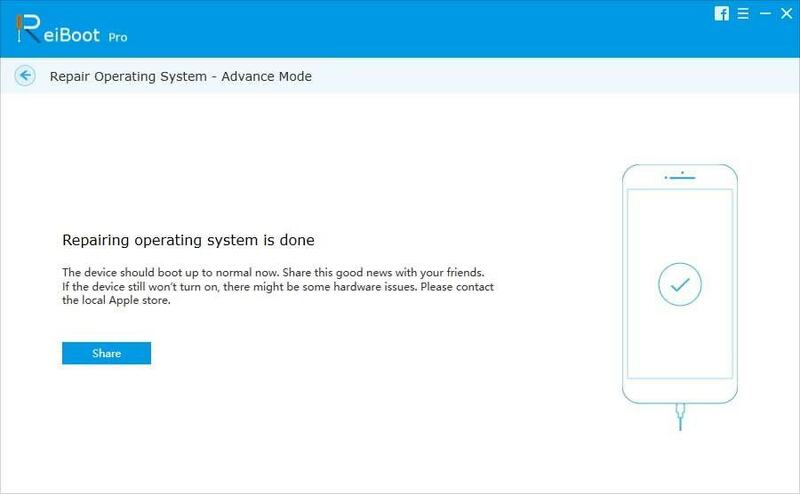 Free download and install ReiBoot, and then launch it and connect device to this software. Step 3. Click on “Fix All iOS Stuck” and hit “Repair Operating System” on this software screen. Step 4. Click on “Select” button to insert the firmware package and get started to downgrade iOS 11.2 Beta 5. Step 5. Wait for several minutes until the repair is done. You can even watch this video tutorial to see how to downgrade iOS 11.2 Beta 5 to iOS 11.1.2. I have to admit that to downgrade iOS 11.2 Beta with iTunes is too complicated to perform. You have to disable “Find My iPhone” and download IPSW file, then connect device to iTunes, and then put your Apple device into DFU mode, and install older firmware with iTunes, finally, restore data from iCloud. So that’s all about how to downgrade iOS 11.2 beta 5 to iOS 11.1.2 edition. Have you got the idea and successfully downgrade it? Try to share your experience and leave a comment in the comment section. Apple iPhone and iPad are the famous two products in the world. Some customers even purchase both two of them in hand. 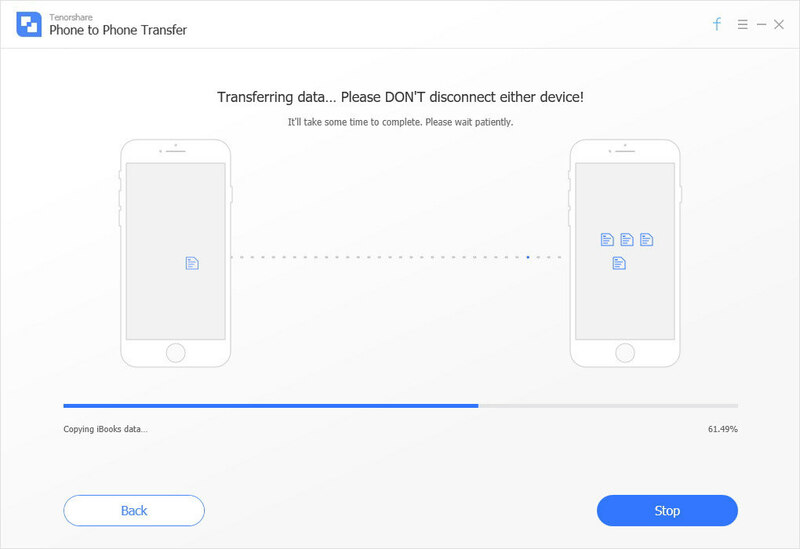 From time to time, users need to transfer photos from iPhone to iPad, or from iPad to iPhone. In this post, I will talk about how to do that with the top 3 best and easiest ways. The most common and oldest way to send photos between iPhone and iPad is to make use of email. You can login the email on iPhone by using Mail app, to upload photos and send it to that email. Then login the same email on iPad and download them easily and quickly. 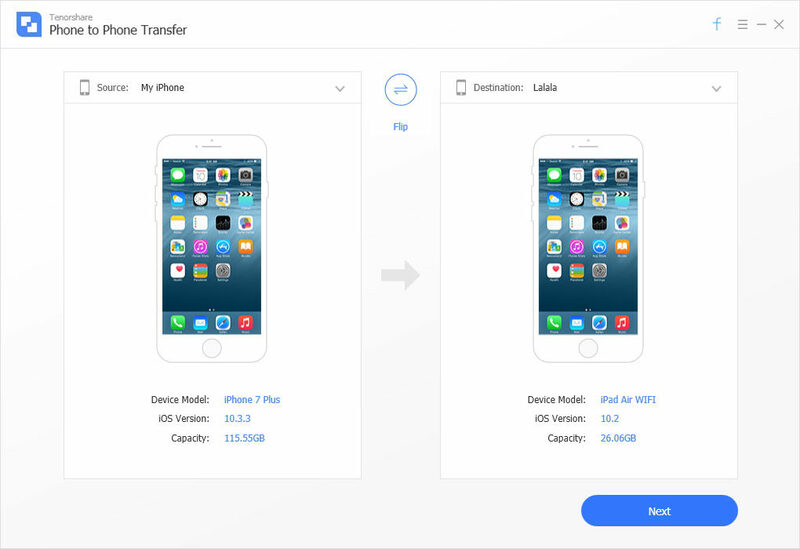 For Apple users who own iPhone and iPad, there is a quite easy method for you to transfer data, that is to take advantage of AirDrop. This is the exclusive Bluetooth service on Apple iPhone, iPad, iPod and Mac. It allows you to send data among different iOS devices, including iPhone and iPad certainly. Consequently, don’t be try, just try to use AirDrop to share photos between iPhone and iPad. To enable it, you can launch Control Center to see it or to turn it on Settings. Step 1. Download, install and launch iTransGo to PC/Mac desktop or laptop. Connect iPhone and iPad to the computer via USB cable. Step 2. iTransGo will recognize both of them and you are able to choose Photos on Media Data tab. Click Start Transfer button on the bottom right side of the window. Step 3. After a while, you will see your selected photos on iPad perfectly. Now you are able to appreciate them easy day. So that’s all the information about how to transfer photos from iPhone to iPad. I fully recommend the third method by using iTransGo to complete the operation. In the end, if you have any other questions about this question, please leave me a comment freely. It’s my pleasure to help with you. Thank you. Apple hold its annual WWDC developer conference in the United States, which always has launched a new iOS operating system. This year’s iOS 11, is a major update, adding a number of new features, now let me with five minutes to summarize for everyone which of 20 features and precautions it. If a large group of friends out meals, the most troublesome in the past is to collect large amounts of cash when the final “money clip” Sometimes you hear of have to charge a lot of “loose silver” even more trouble. In iOS 11, Apple joined the Apple Pay in the Peer-to-Peer (P2P) pay function, as long as through iMessage can pay to a friend, but certification is still carried out in order to fingerprint authentication through Touch ID, and to Apple Pay payment as . When you use the pay, more money will be automatically deposited into the bank, very easy to use. After the “money clip” If you hear of people are using iOS devices to spot “debt collection” even more convenient. 2) Siri can eventually translate! In iOS 11, Apple also joined the new Siri features, in addition to supporting more languages ​​and can display multiple results outside, this time also added a translation feature, as long as the mother tongue spoken to Siri a talk, then then told Siri translation a specified language, Siri will result in text and voice will be displayed later did a lot easier to travel, especially to some of the places where English is not universal (for example: Japan). This time translation feature Siri is still in beta, being only available in English translated into Chinese (Mandarin), French, German, Italian and Spanish, but whether it can support two-way translation? The official did not mention, appear to be necessary tried to know. In addition, Siri also added support for more third-party software, also adding more intelligent learning function, it seems that Apple’s goal is to everyone’s life in every detail are inseparable from Siri Oh! In addition, the camera aspects of iOS 11 also added a new feature, which is certainly the most important is that no matter shade or adopt a new format film, photo film with respect to switch to a High Efficiency Image File Format (HEIF) format, so each iPhone 7 or 7 Plus with photographs, the volume can be finer; As for the film aspect, also uses a High Efficiency Video Coding (HEVC) format, compared to the previous H.264 formats, video volume more than half of the fine, nor will affect the quality. In addition, iPhone 7 Plus unique portrait mode, but also improves the quality of photos, especially in low-light conditions, the effect will be more obvious. Further, portrait mode may use an optical anti-shake, True Tone flashing lights, the HDR and other functions. In addition to new features on the shade film functions, iOS 11 in the photo (Photos) program has also added new features, first of all, in addition to adding more memory column kind, but when enjoy video memory, when the vertical display, photos will be displayed effect; landscape mode will show a movie format, very intelligent. But the focus of APP photo, or on Live Photo. Browse used in iOS 11 Live Photo albums, not only can set their own as the moment at which Live Photo cover, you can also add a lot of new features, such as: a non-stop loop with Live Photo, or make bounce effect that is similar to the “pop-up shells into the” effect, very enjoyable. However, the most powerful, certainly the new “long exposure” feature, for example: We Live Photo shoot with the river, just use this feature, you can make a similar effect long exposure, so that we do not have a tripod make beautiful long exposure photos. I was thinking: used later to beat the rails, light rails photo, it will certainly be more convenient. On the interface, iOS 11 also uses a newly designed control center, they wanted to control music playback in the control center, do not turn the page, just to 3D Touch method, using a pressure tap music control bar, you can demonstrate the music player interface, you want to play, stop playing music, or skip to the previous or next music, very easy. In addition, other features, including: a variety of wireless switching functions, control volume, open the torch and so on, one by one can be done on the same page, they wanted to control the iPhone, even for the big screen iPhone 7 Plus, you can also easily have controlled with one hand a.
iPhone itself has been part of the smart phone, but in iOS 11, iPhone will become more “intelligent”, it secretly observed behavior with the use of home, for example: look at what page, what movies to enjoy, and then give the most appropriate advice. For example: When you browse travel information page of a country, it will write down some keywords, and then when we chat communication software with a friend, simply enter one or two letters of the keyword, even if everyone in the past never enter this place name, it will still appear in the vocabulary suggestions column, very powerful. As for the kind of respect, it will press a few elements records, including: language identification (Language Identification), symbols (Tokenization), Lemmatization (Lemmatization), part of the semantic (Part of Speech) and named entity recognition (Named Entity Recognition), really very smart. 7) Apple Map: the final indoor map! As for maps of, iOS 11 also has new features this time, not only joined the line on the navigation instructions, we will not make the wrong lane line when not driving, the map data this time have joined the indoor map, which will include a floor map of the shopping malls and airports, and shopping malls in Hong Kong and the Hong Kong airport, the official also said that the relevant function has been added, in the future we have to find the location specified store in the mall, or to find a gate where airport and took out iPhone will know. In addition, if you’re also function iOS 11 new drive, as long as the system senses of everyone connected the iPhone Apple Car system, it will recommend the use of a home, “You Are the One while driving” function that, after starting all message prompts are not will be displayed on the iPhone screen, while the iPhone will become full-screen display only black or navigation interface, in order to avoid interference with the family car. The most special is, “You Are the One while driving” function even if the message has reached the iPhone, but with the home opened, the system will automatically respond to each other means that you are driving, the message will show up later, so you need not manually reply the other side also know you’re driving. Of course, the case of important messages, you need to let motorists instantly know that they can enter Urgent keyword, motorists still will immediately see a message, very considerate. In terms of smart home, iOS now supports multiple devices in the past, but in iOS 11 in, iOS eventually supports multiple control room speakers, as long as the specified brand of speakers, you can control the speakers in different rooms using a device what music to play, of course, also be used to control the Apple TV connected TV playing music friends. Music App aspect, iOS 11 also added a small amount of new features, not only to know what friends like to listen to music, even when friends to a party in your house, but your favorite music can be plugged into your music playlist, live with you share it. Everyone in the new Apple Music interface, you can also see what music will be played at a few that we have to insert a song or Philon, are the early preparations. In recent years, VR, AR etc. is becoming increasingly popular, relevant applications are also more and more, it seems that Apple would be difficult to resist this trend, in this time of iOS 11, also added support for AR function, as long as with the right APPS, you can the AR experience on iOS devices. Apple also released a ARKit, so that software developers can take advantage of the iPhone’s processor, motion sensor and lens, the AR element into its own APP or the game, I believe even go to the end of next year on the iPhone should play AR will become increasingly common. Apple in recent years more and more attention to the Chinese market, in iOS 11 also home to pay more for China with the six new features, including: support for QR Code reading, anti-fraud SMS extension browsing traffic camera, support voice changed to Shanghai language text, enter the English alphabet on the 10-key keyboard and telephone number as Apple ID. It is not so happy that iTunes backup file is password protected at times, which results in the failure to backup iPhone materials. So once we met this problem by accident, how to solve with this trouble? There is several solutions we are able to do. Perhaps you are concerned about this free solution and think of it is so ridiculous and nonsense. As a matter of fact, some iPhone owners do remind their password at last. There are some clues you can attempt, such as iPhone passcode, 12345, Apple ID password, etc. Anyway, just try all the passwords related to Apple products and the possible password you may use. Don’t forget to use the upper case and lower case characters. Good luck to you. If you are urgent to backup your data but there is not time to remind the backup password, try to back them up with iCloud account. In order to backup data in iCloud, you need to type your Apple ID account and the correct login password. If you backup data in Windows/Mac platform, just open Apple iCloud application and login with Apple ID and password, and then access to iCloud. Finally backup data successfully. If you backup data in iPhone 7/7Plus device, make sure that iCloud Backup is turned on. Go to Settings -> [your name] -> iCloud to check it. For iOS 10.2 or earlier, go to Settings –> iCloud. After that, iCloud will backup iPhone data automatically. If the above ways doesn’t help, the last but not least measure is to take advantage of Tenorshare iPhone Backup Unlocker. It is a professional and well-known program to unlock/recover/retrieve backup password of iPhone in iTunes. As an easy-to-use application for Windows OS, it supports all iOS versions and Apple devices, such as iOS 11/10/9/8/7, etc and iPhone 7/7Plus, iPhone 6s/6s Plus, iPhone 6/6 Plus, iPhone SE, iPhone 5s/5c/5, iPhone 4, etc. Step 1. 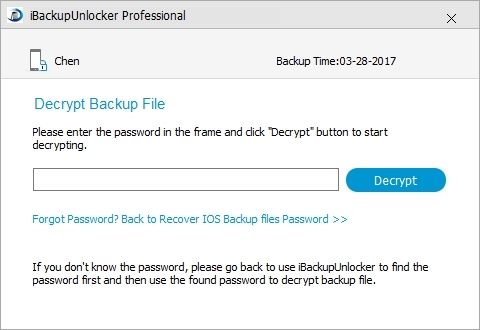 Download and install iPhone Backup Unlocker to your Windows-based computer and then double-click mouse to launch its icon on your desktop. Step 2. In the main interface, click Add button to insert the backup file to this software. The backup file is named “Manifest.plist”. Step 3. Choose one of the password attack types from Dictionary Attack, Brute Force with Mask Attack and Brute Force Attack. You can also click the Settings button on the right side to customize the type. Step 4. Click Start button and then the software will find out the final backup password. Well, so that’s all the top 3 ways to unlock backup password of iPhone 7/7Plus after upgrading iOS 11 . Have you got the main idea and are ready to cope with your password issue? Hope it works to you and if you are intered in iTunes backup password unlocker, you can also read more in this blog. “I installed iOS 10.2 on my iPhone 6s plus, but a while late the battery was completely discharged, what changed in iOS 10.2 to affect battery usage like this? Please tell me how to fix this trouble.” Below is a tutorial for us to learn how to handle iOS 10.2 battery draining fast. Step 1: First to check the battery usage. Go to settings – to check battery if there is an app that is the chief culprit. Then reboot your iPhone, here you need to hold down the wake/sleep button and home button until the Apple Logo appears. Step 2: Reset all settings. Go to settings – General – Reset – Reset all settings to factory default. Step 3: Enable Low power mode. Go to settings – Battery – Turn on low power mode. Step 4: You can turn on airplane mode. Here you just need to enable airplane mode when you are not using the iPhone. Step 5: Try to turn off background app refresh. We all know when you turn on this feature, the app will work in the background and use the battery. So if you don’t need the apps refresh automatically, you can just Go to settings – General – Background App Refresh – Turn it off. That’s OK now. Step 6: Please turn off location services. Just open settings app, go to privacy and location services, you can click turn it off. On the other way, you can also set it to enable the services while using the app. Step 7: You can disable iCloud keychain. Simply go to settings, and then to iCloud, keychain just turn it off. Or you can downgrade to the old version. Step 8: Restore your device. This step can erase all the settings and content on your device, so it is the last option. To iOS 10.2 stuck, most users think it is another common trouble to most iPhone, iPad and iPod users. When your devices stuck on Apple logo, black/blue screen, what will you do? The option for me to is to use Tenorshare Reiboot. It is an all-in-one program to fix iOS device stuck issues. Step 2: Now you can connect your iOS devices from USB cable to the PC or Mac. The freeware supports the latest iPhone 7, iPhone 7 plus. Step 3: Here you can click highlighted “Enter Recovery Mode’ to start to fix the apple logo stuck issue. Step 4: After several seconds, after the process complete. You will find the “Exit Recovery Mode” is clickable. 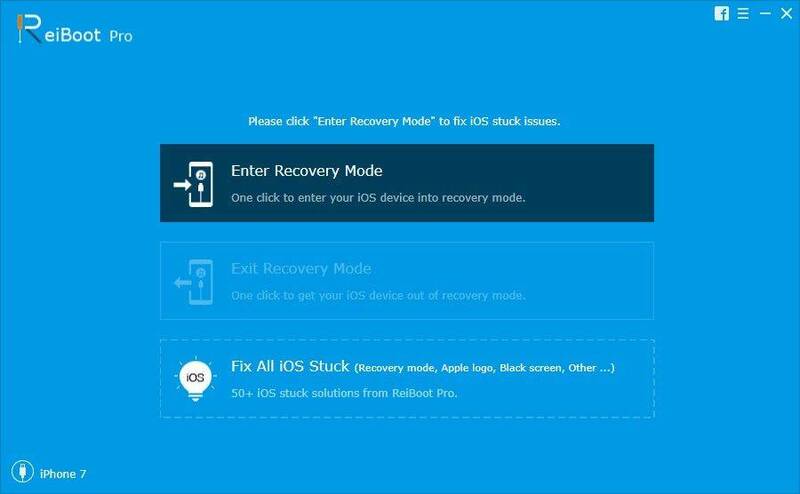 Click “Exit Recovery Mode’ to reboot the stuck device. Now your device is rebooting successfully. If you have any other troubles about iOS devices, please do not hesitate to leave your trouble on our website comment sections. After that, we will send a response to you at once. It’s really so sad that we buy an iPhone 7 but something is wrong with it several days later. That is not we would like to see but sometimes it really happens. When we meet this question, how to deal with it? Is there any way to solve with it? Of course yes, we are able to use the following methods to deal with this problem. Let’s see how to reset an iPhone 7 that freezes during setup with the practical methods. 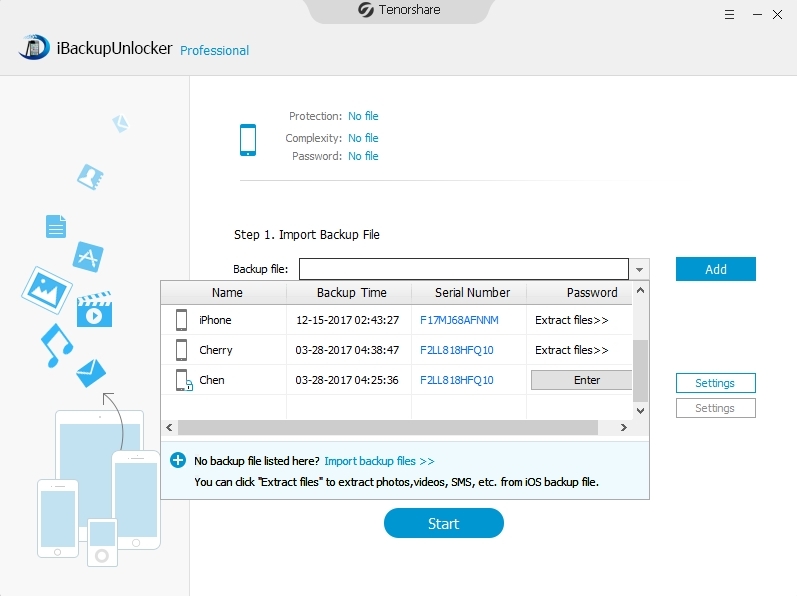 If you need to reset/restore iPhone 7, you can use Tenorshare Reiboot, which is a nice and professional free software t o fix all iPhone issues with one click, such as to put iOS device into recovery mode, to let your iPhone in/out of recovery mode. It supports Windows and Mac platform. You can choose it as a nice tool to fix iPhone 7 issues. Now let’s see how to reset iPhone 7 that freezes during setup as with Reiboot as below. Step 1-The same as other software, you need to download it from official website before using it. Then install and launch this application. Then you will see the main interface with color blue. Note that if your computer is Windows, download the Windows version, if Mac, download the Mac version. Step 2-After that, connect your iPhone 7 to your personal computer. If the iTunes boot as the same time, that is a normal phenomenon, just ignore it. Wait for a few seconds, the Reiboot will recognize your software and begin to do you a favor. Step 3-After connecting, you need to click the “Exit Recovery Mode” option to reset iPhone 7. If that doesn’t work at the first time, try it twice. The other way is to use Tenorshare iCareFone to restore iPhone 7. If you are prudentially enough, you can use Tenorshare iCareFone to fix iPhone 7. This is a nice program to restore your iPhone 7 that freezes during setup. It also supports Windows and Mac. You can choose to fit it. Now let’s see how to reset iPhone 7 that freezes during setup as below. Step 1: Download and install iCareFone and then launch to open this software. You can also click the option to link to iCareFone from Reiboot. Step 2: Connect iPhone 7 to computer, and then iCareFone will recognize your machine. You will see 6 sub-options, just choose “Fix iOS Stuck” and then to follow the steps. Step 3: After a while, the software will reset/restore the frozen iPhone 7 for you and then your device will as usual as before. Well that’s all about the solution, if it works, please share it with your friends, thank you so much.